The Spectacled Avenger: An Elegy for "Patient Zero"
An Elegy for "Patient Zero"
This photo haunts me. I first saw it when I was a young man of around 15. It was in the Toronto Star, and the year must have been either 1987 or 1988, because it was not long after the publication of Randy Shilts’ mostly excellent book As the Band Played On (1987). The man pictured is Gaetan Dugas, the Air Canada flight attendant who became infamous as “Patient Zero” after Shilts’ book introduced him to the world. Dugas was an early AIDS patient at the centre of a study by the Centres for Disease Control published in 1984, which came to be known as the “cluster study”. CDC researchers interviewed a number of those early AIDS patients and traced their sexual histories. It was found that 40 of these patients could be linked, directly or indirectly, to one case — Dugas. 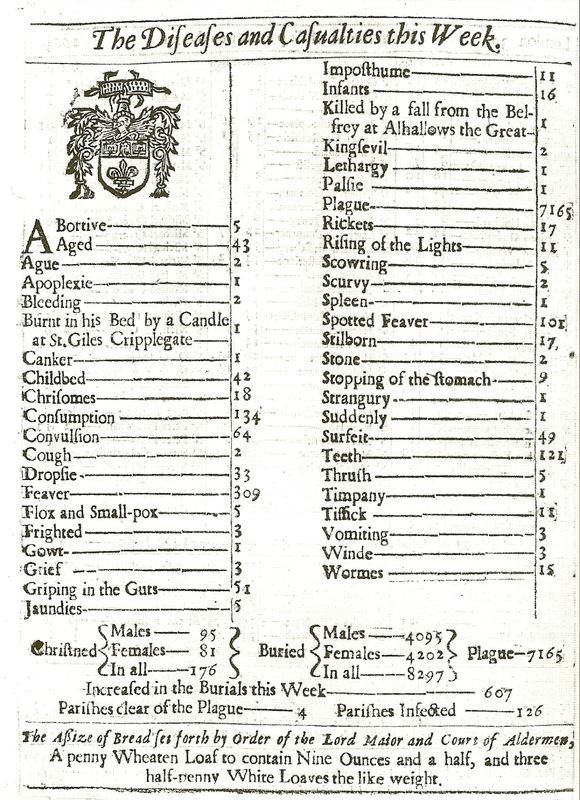 In the original study, all the patients were assigned a number within their geographical area. Dugas was labelled as patient “O” (the letter, not the number), standing for “Outside the area”. Through some miscommunication in the media, he came to be called “Patient 0” (the number). This was unfortunate, as it gave the misleading impression that he was somehow the first AIDS patient (he was not). It should also be noted that the cluster study was not intended to figure out who had the disease first. It was intended to help ascertain whether or not the new disease was sexually communicable (it was). In any case, it came to be popularly believed that Patient Zero was the person “responsible” for bringing AIDS to the United States. The fact that Dugas happened to be a flight attendant probably helped this narrative along. It also probably helped that he was not an American — he was Canadian — and had a foreign-sounding name. 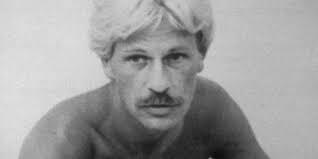 Shilts portrayed Dugas as a cold-bloodedly negligent sexual athlete who didn’t much care whether he was spreading AIDS. Shilts’ publisher went a step further: their marketing for And the Band Played On portrayed Dugas as intentionally infecting people, i.e. as murderous rather than merely negligent. Shilts never claimed that Dugas was the person who imported AIDS to the US. That was the publisher’s angle, to sell more books. Still, I don’t want to let Shilts off the hook: he inserted scenes villainizing Dugas — including internal monologue — that neither Shilts nor anyone else could possibly have been privy to, scenes that, in other words, were fiction. As I said, that photo of Gaetan Dugas haunts me. It used to haunt me because of the demonizing media coverage which made it somehow seem to me like the face of evil. I know better now. Instead, it haunts me now because it brings me back to a different time, and to the accompanying fears of that time. In the late 1980s I was just upon the threshold of the world of the sexually active and, with the possible exception of the late 1490s, there has likely never been a less auspicious time to do so. During the eighties, the very same Toronto Star that ran the above photo of Dugas also ran a dedicated space in every Saturday issue of the paper to news about the AIDS epidemic. That space was invariably accompanied by the grisly tally of new infections and AIDS deaths. In 1988 the epidemic was raging, with no end in sight. Those ever-growing weekly numbers seemed apocalyptic to me, like my generation’s very own Bill of Mortality. Doomsayers regularly warned us about the inevitable proliferation of AIDS in the heterosexual community. I can remember reading predictions about how, for example, by the year 2000 the health care system would be swamped and that something like one in every two hospital beds in the US would be occupied by an AIDS patient. This heterosexual proliferation never happened, at least not to the degree we were led to expect, and at least not in North America. 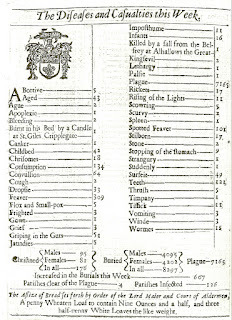 A Bill of Mortality for 1665. I remember one person in the pages of the Toronto Star at the time who told us that these warnings were overblown, and that a widespread breakthrough into the heterosexual community was unlikely: Dr. Morton Schulman, physician, politician, and for a time Ontario’s chief coroner. It was his opinion that the threat of AIDS to the heterosexual population was purposely being overblown in order to generate funding and sympathy from mainstream society. He became Public Enemy #1 among activists. Of course, it turns out Schulman was (mostly) correct. Even so, there were extremely good reasons to fund research into AIDS regardless of whether it was primarily a heterosexual disease or not. After all, homosexuals are citizens too. In any case, I only bring it up to remind people of the somewhat paranoid and frightening atmosphere of the AIDS years, the atmosphere in which Gaetan Dugas became a media bogeyman. Generationally speaking, there are two geopolitical circumstances or events that I would say were fundamental in forming the person that I am, and that probably had a disproportionate effect in forming a certain generation. One was the Cold War, with its constant threat of instant nuclear annihilation. The other was AIDS, with its threat of slow and horrifying physical annihilation. Neither of these makes the news much anymore, so I sometimes feel like I’m an old soldier mentally fighting wars that, as far as the rest of the world is concerned, are long over. So imagine my surprise about a month ago when I came across a story accompanied by that same photo of Gaetan Dugas. And in the Toronto Star no less! For me it was a real blast from the past. The story was about a study recently published in Nature on the early history of AIDS in North America. The methodology of the study was interesting. However, to someone who is fairly well-versed in the early history of the AIDS epidemic, the results of the study demonstrated that which was already known independently of the methodology. 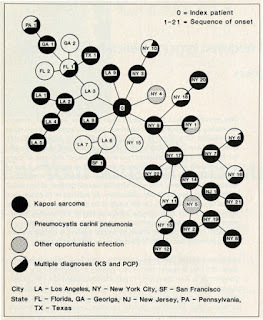 This process led them to infer that the HIV virus was circulating in the US since around 1970, well before Gaetan Dugas came on the scene, and that the strains in circulation probably were imported to North America via the Caribbean, particularly Haiti. Neither of these inferences is new. Indeed, the researchers were working with blood samples preserved from hepatitis B studies done on gay men in New York and San Francisco in 1978 and 1979. These had already been tested for HIV a long time ago, so it was no surprise that they would find HIV there. In fact, between 3.7% and 6.6% of the subjects tested were already infected with the virus back then. The study did find that the strain of the virus Dugas carried was not one of the strains in common circulation at the time, meaning that it could not be the case that Dugas was the man who was doing most of the transmitting. So again, Dugas did not give America AIDS. And again, this was known before this study. One might note, for example, that well before the first medical reports in 1981 of what would eventually be called AIDS, there had been numerous reports of what was then variously called “junkie pneumonia” or “the dwindles” killing off IV drug users in New York in the 1970s. This was a population mostly invisible to the media at the time, so a new disease spreading there could go undetected for a long time (as it did among the homosexual community). 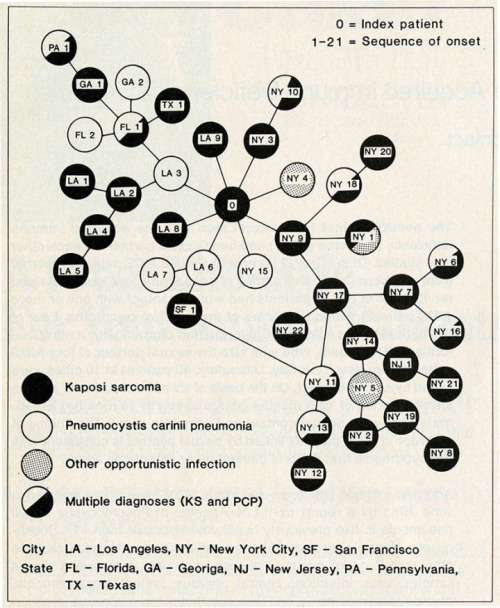 And, of course, there was the sad case of Robert Rayford, an African-American teenager who showed up in a hospital in St. Louis in 1969 suffering from an array of florid infections, including Kaposi’s Sarcoma, a telltale AIDS-related opportunistic infection. Tests done on Rayford’s stored blood samples in 1987 confirmed the presence of HIV. Repeat testing done years later found the same results. There were possible earlier cases than Rayford’s, for which blood samples weren’t preserved but for which convincing diagnoses could be made based on criteria in use in the early 1980s, when a blood test was not yet available. I mentioned the misleading and sensationalist marketing and media coverage of the “Patient Zero” story from Shilts’ book. The marketing around the recent Nature study has ironically carried on the same theme. The study is described in various media reports as “exonerating” Dugas, as if he stood in need of exoneration, as if he was guilty of something. The disease was new at the time Dugas suffered from it, and in any case nobody was entirely sure whether it was spread through sexual contact — hence the whole point of the cluster study in the first place. And it’s not like Dugas could have intended to bring a new disease to the US, nor was he purposely trying to infect people. As we’ve seen, the first charge lacks a factual basis: he did not bring AIDS to the US. Regarding the second charge, of malice aforethought, he is likewise innocent, according to any real evidence (excluding Shilts’ dubious hearsay) yet presented. Perhaps he was negligent, and if so, he certainly wasn’t alone. Dugas would only stand in need of “exoneration” if his portrayal by Shilts and his publisher were true. Largely it is not. But the study would be a lot less interesting to the lay public without this villain narrative. Ironically, in separate work, Richard McKay, a medical historian who is one of the Nature study’s co-authors, had already ably debunked this villain narrative, while reconstructing a sympathetic portrait of Dugas as a human being, with friends, family, interests and hopes that were cut short. It is well worth reading. One concern I have about Shilts' portrayal of Dugas, aside from its inaccuracy, is the questionable morality of naming "Patient Zero" in the first place. The ethical question here is twofold: 1. Was it ethical for Shilts to name the patient? and 2. Was it ethical for Shilts to be made privy to that name in the first place? Which leads to a third question, one having more to do with accountability: 3. Who, among the researchers involved in that cluster study, outed Gaetan to Shilts as "Patient Zero"? If a villain be required, we might begin our search there. Given the Toronto Star’s early complicity in propagating the Patient Zero myth, that article last month should have come with a formal apology to Gaetan Dugas and his family and friends. At least now in my mind I no longer imagine Dugas as an evil Typhoid Mary. Instead, I imagine him as what he probably was, a very frightened young man unfairly cut down in his prime by a disease little understood at the time, a disease which no decent person would wish on their worst enemy. As I said, that photo still haunts me. Since writing the above, I went back and re-read the McKay paper to which I referred. I'm glad I did, for two reasons. First, it allows me to make a correction/clarification. I had posed a question of accountability, asking who "among the researchers involved in that cluster study, outed Gaetan to Shilts"? It turns out it was not anybody connected to the study. The researchers themselves seem to have maintained confidentiality. Shilts put two and two together based on his interviews with people in the community who were acquainted with Dugas. It is worth noting, however, that Shilts got much personal information about Dugas from interviewing his friends in Vancouver. This information was given on the understanding that Shilts would not reveal Gaetan Dugas' name — an understanding which Shilts obviously violated. The second reason I'm glad I re-read McKay's paper is that I found information about that Toronto Star article buried in an endnote. It turns out the date of the article was December 12, 1987 and consisted largely of an excerpt from And the Band Played On. To give a sense of its demonizing tone, the headline was "Patient Zero: The airline steward who carried a disease and a grudge". Even back then, this bit of character assassination prompted a critical letter to the editor on December 29, the anonymous writer of which took particular issue with Shilts' claim that Dugas represented "what every man wanted from gay life". For anyone interested in the early history of the AIDS epidemic in the US, there is an indispensable but little-known source that I highly recommend. In 1983, the BBC program Horizon did a documentary on AIDS called “Killer in the Village”. If you live in the UK you can view it online through the BBC’s website. It is currently unavailable in North America via legitimate sources, but it does pop up from time to time on YouTube before being taken down. At the time of writing this (14 December 2016), it happens to be available there, though the sound quality is rather poor. It is a fascinating document. Most of it was filmed in 1982, very early days for the epidemic. To my knowledge, no mainstream television program had yet to cover the disease in-depth (please tell me if I’m wrong). At the time, the disease had just ceased to be called "gay cancer" or “Gay-Related Immune Deficiency” (GRID), and was being referred to — at least by the BBC presenter — as “A-I-D-S”, the letters of the acronym being individually pronounced. No virus had yet been discovered. Indeed, part of the program’s focus was on the medical “mystery” of the emergent disease’s possible causes, in particular, whether it was caused by some new virus. For present purposes, the program’s main interest lies in the fact that “Patient Zero” gets his very first discreet public mention, four years before Randy Shilts indiscreetly introduced him to the world. In one scene, a researcher from the original cluster study is being interviewed. He shows a detail of the chart I reproduced above, the part specifically showing the California cluster. Clearly marked on the chart is one patient labelled “Outside California”. The narrator points out that all the patients on the chart are linked to him sexually, and then helpfully refers to this patient as a flight attendant. Knowing that this nameless flight attendant would be “outed” as Gaetan Dugas four years later and made a media monster, I find it a chilling moment in the program. Also chilling — and sad — is the realization that every one of the many AIDS sufferers interviewed in that program, all of them relatively young at the time, must have died soon after.